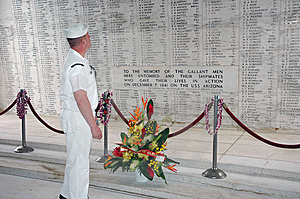 The USS Arizona Memorial, located at Pearl Harbor in Honolulu, Hawaii, marks the resting place of 1,102 of the 1,177 sailors and marines killed on the USS Arizona (BB-39) during the Japanese surprise attack on Pearl Harbor on 7 December 1941 and commemorates the events of that day. The attack on Pearl Harbor and the island of Oʻahu was the action that led to the United States' direct involvement in World War II. 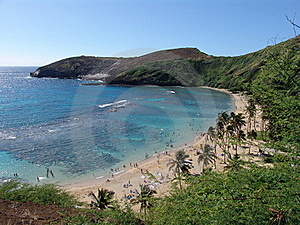 Hawaii, is the 50th and most recent U.S. state to join the United States, having joined the Union on August 21, 1959. It is the only U.S. state located in Oceania and the only one made up entirely of islands. It is the northernmost island group in Polynesia, occupying most of an archipelago in the central Pacific Ocean. Visited: 1968, 1995, 1997 and 2005. 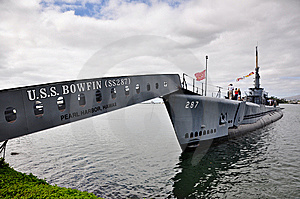 Bowfin was laid down by the Portsmouth Naval Shipyard at Kittery, Maine, on 23 July 1942, and launched on 7 December 1942 by Mrs. Jane Gawne, wife of Captain James Gawne, and commissioned on 1 May 1943, Commander Joseph H. Willingham in command. 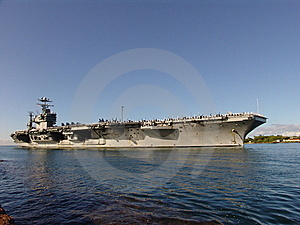 USS Abraham Lincoln (CVN-72), is the fifth Nimitz-class aircraft carrier in the United States Navy. It is the second Navy ship to have been named after former President Abraham Lincoln. Her home port is Norfolk, Virginia, and she is a member of the United States Atlantic Fleet. She is administratively responsible to Commander, Naval Air Forces Atlantic, and, operationally served as the flagship of Carrier Strike Group Nine and host to Carrier Air Wing Two until 2012. She is currently undergoing a 4-year Refueling and Complex Overhaul process. Photograph was taken in 2005 during my visit to Hawaii. USS Utah (BB-31/AG-16) was the second and final member of the Florida class of dreadnought battleships. The only ship of the United States Navy named after the state of Utah, she had one sister ship, USS Florida (BB-30). Utah was built by the New York Shipbuilding Corporation, laid down in March 1909 and launched in December of that year. She was completed in August 1911, and boasted a main battery of ten 12 in (300 mm) guns in five twin gun turrets. Hickam Field (formerly Hickam Air Force Base) is a United States Air Force installation, named in honor of aviation pioneer Lieutenant Colonel Horace Meek Hickam. The base merged with the Naval Base Pearl Harbor to become part of the Joint Base Pearl Harbor-Hickam. The base neighbors Honolulu International Airport and currently shares runways with the airport for its activities and purposes. Falls of Clyde is the last surviving iron-hulled, four-masted full-rigged ship, and the only remaining sail-driven oil tanker. Designated a U.S. National Historic Landmark in 1989, she is now a museum ship in Honolulu, but has deteriorated to poor condition and is not open to the public. In September 2008, ownership was transferred to a new nonprofit organization which intends to restore her.